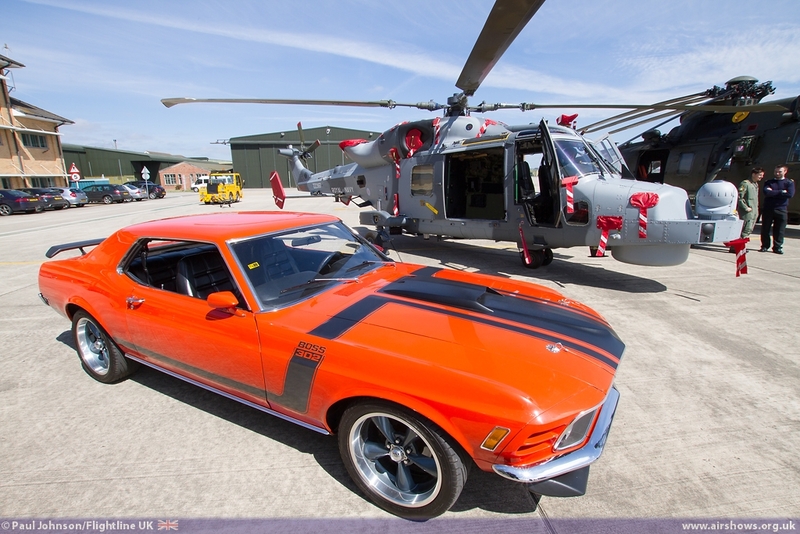 This week saw the launch of the 2013 RNAS Yeovilton International Air Day under some welcome warm blue skies. 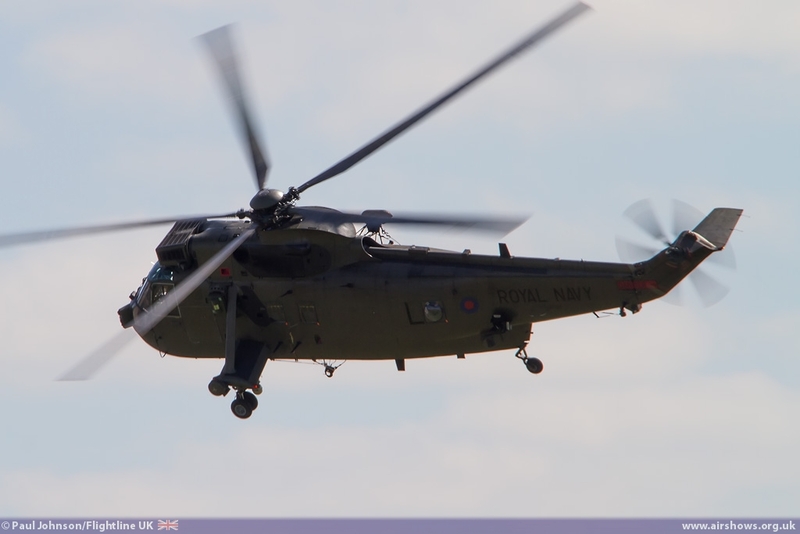 There were flying displays from the Black Cats Display Team, a Piston Provost and a role demo from a pair of Sea King HC4 and Royal Marines. This year’s event is certainly promising to be a memorable one with some exciting participation from across Europe and the Middle East already confirmed for the flying display and new attractions on the ground. 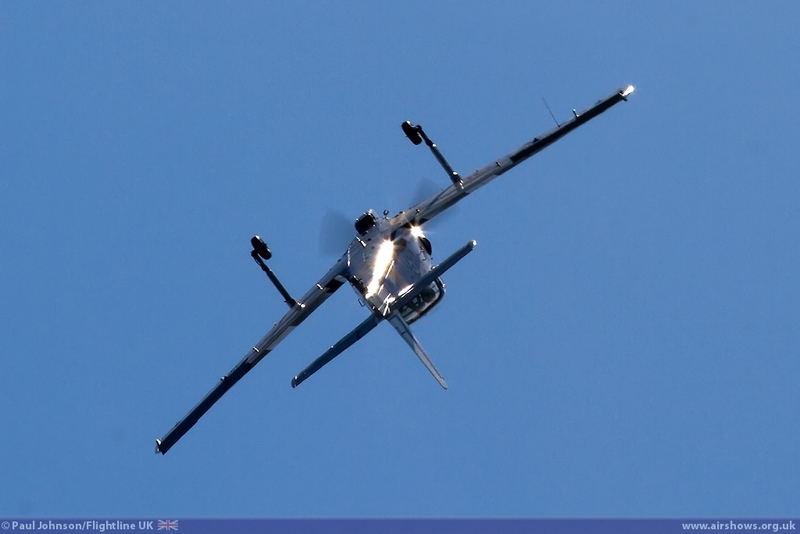 Paul Johnson/Flightline UK reports from a scorching Somerset. All photography by the author. 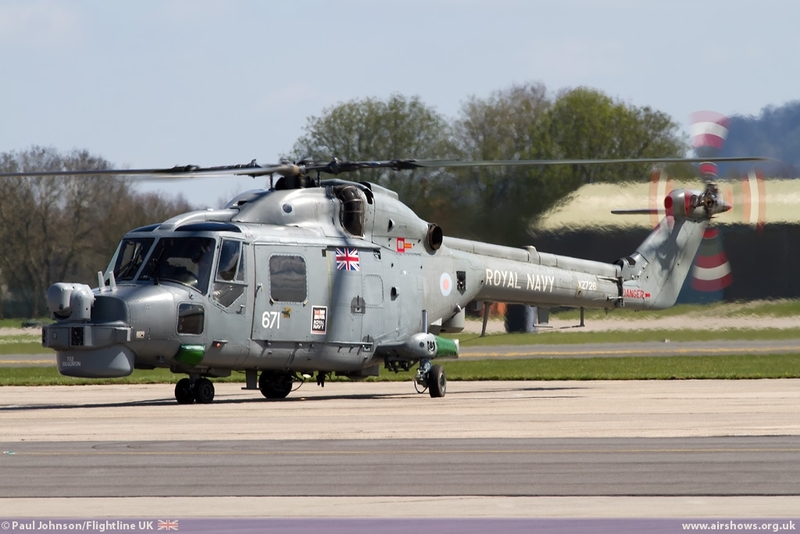 RNAS Yeovilton is an incredibly busy place at the moment. 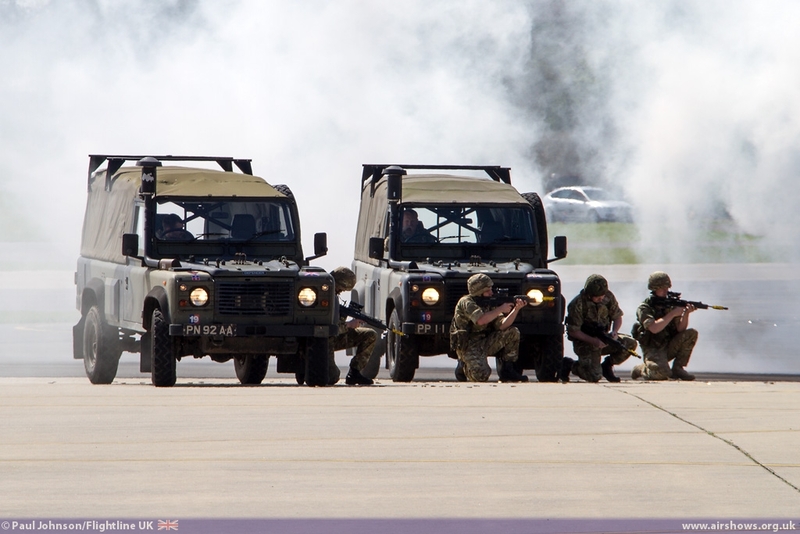 On top of the normal operations at sea and in Afghanistan supported by the base, 2012 saw equipment and personnel from the Somerset base take in leading role in the security and safe running of the London Olympic Games. 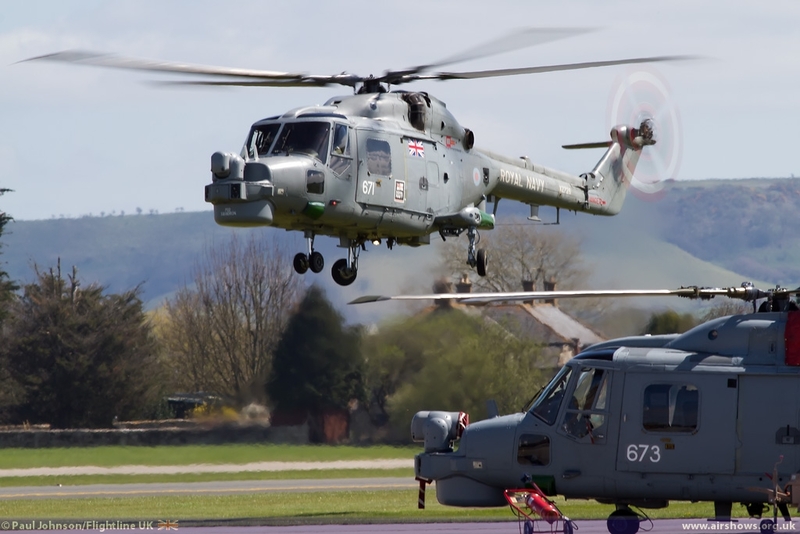 Yeovilton is also going through a period of significant transition with the introduction of the AgustaWestland AW159 Wildcat AH1 and HMA2 into the UK service, the introduction of the Merlin HC3 into the Commando helicopter force and the drawdown of both the Lynx and Sea King fleets. 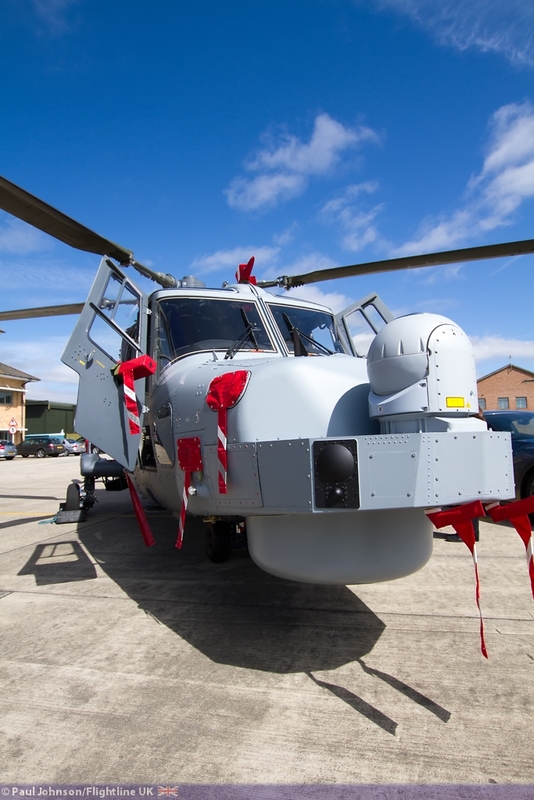 The Wildcat in particular marks significant changes for Yeovilton. 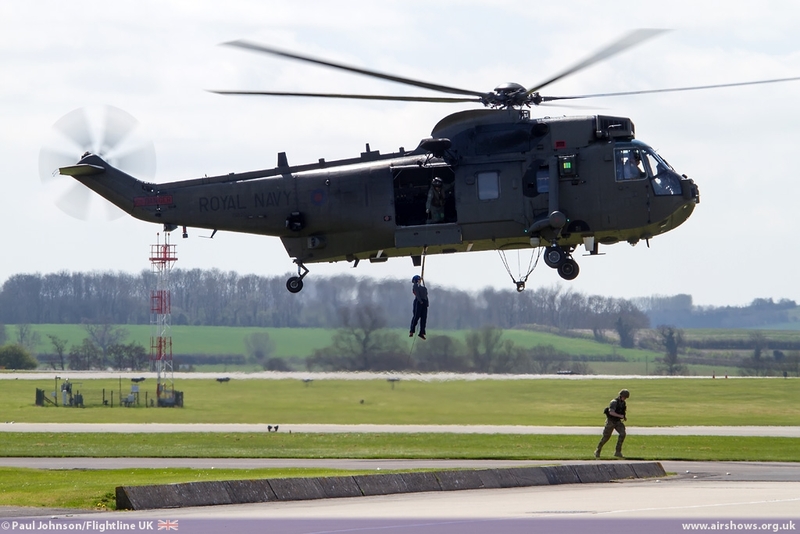 Not only will be the base be at the forefront on the Navy evaluation and training for the type with 700W Naval Air Squadron standing up, but the Army have based their Wildcat Fielding Squadron at the base. 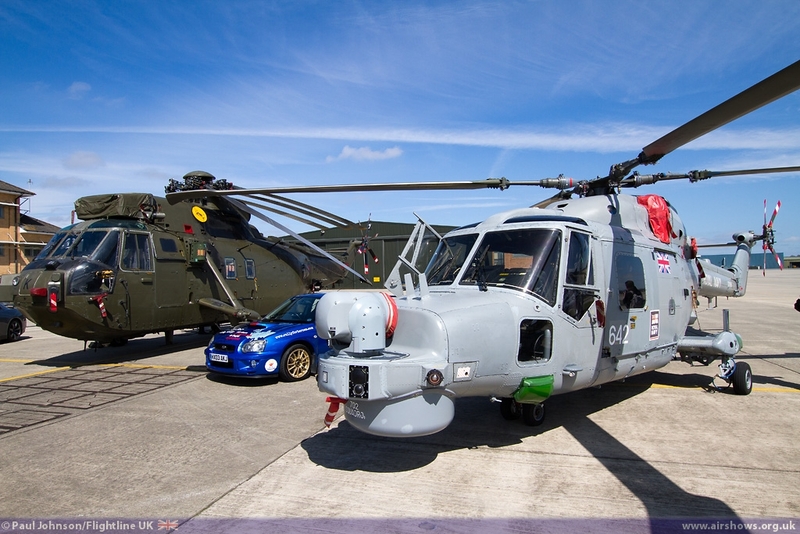 Yeovilton is an ideal base for the Wildcat with AgustaWestland’s Factory just the other side of Yeovil. 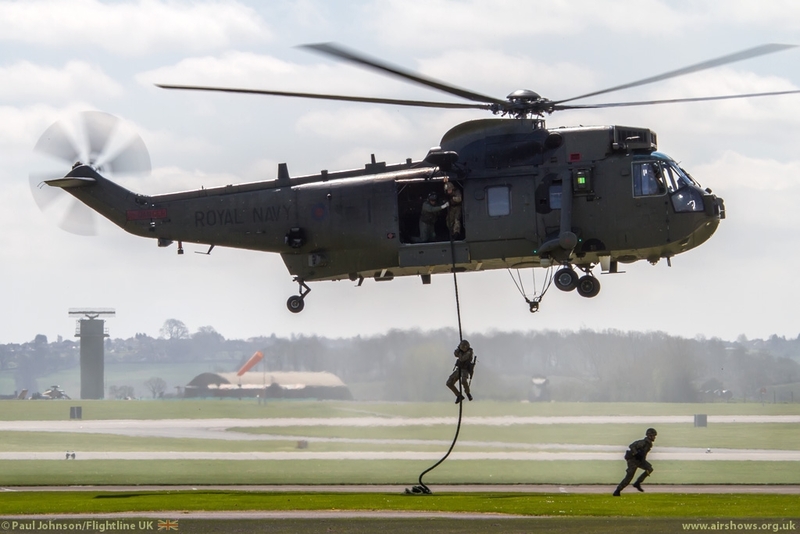 Much of Yeovilton’s day to day role relies on “Teamwork” not only amongst Royal Navy personnel, but also the wider military and also the local population. This will be reflected in the main theme of Air Day with a number of different aspects of teamwork on display. 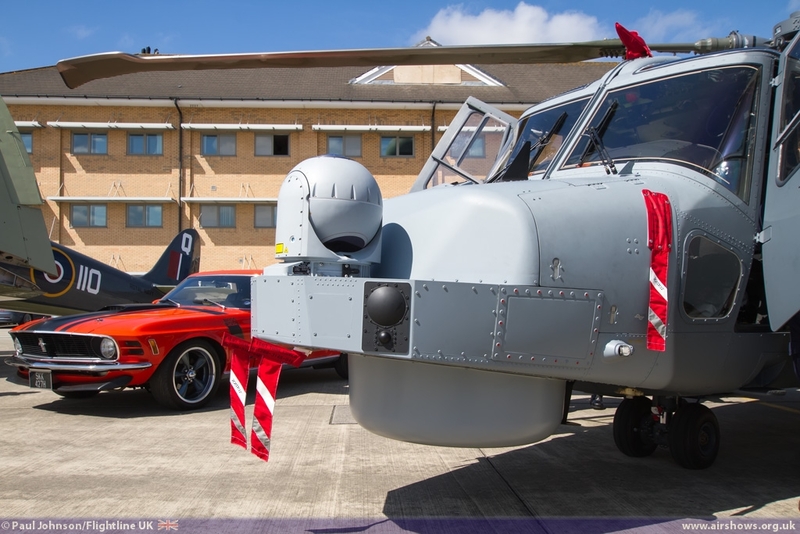 The flying display will feature a number of display teams headed by the Royal Air Force Red Arrows and the Royal Jordanian Falcons as well as civilian displays such as the RV8tors. 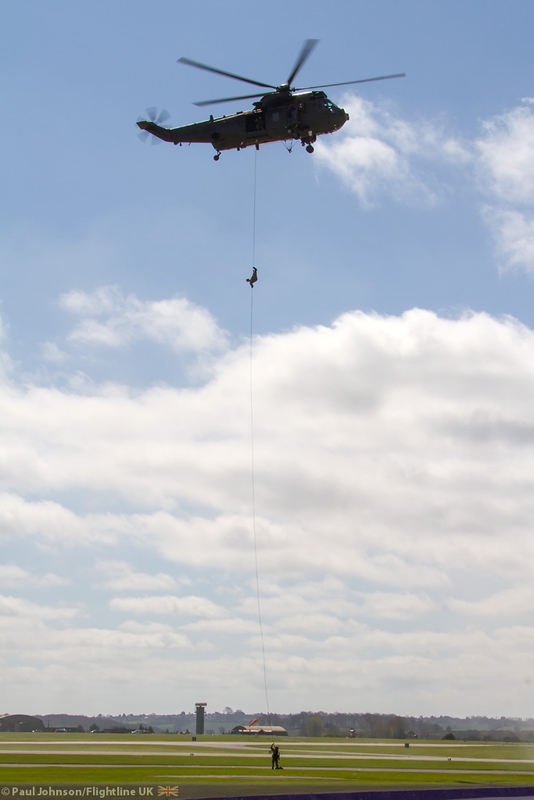 Some of the most highly anticipated highlights of the flying display are the Maritime and Commando Assault displays. 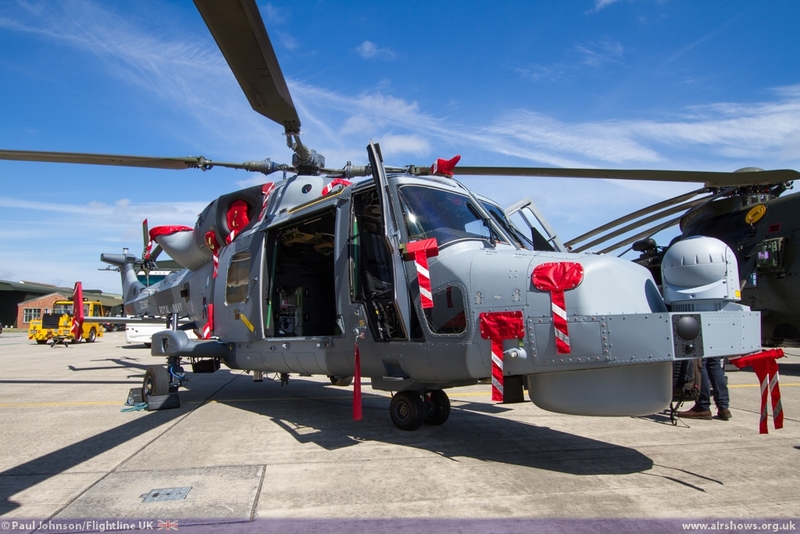 For the first time, both will feature the Wildcat helicopter. 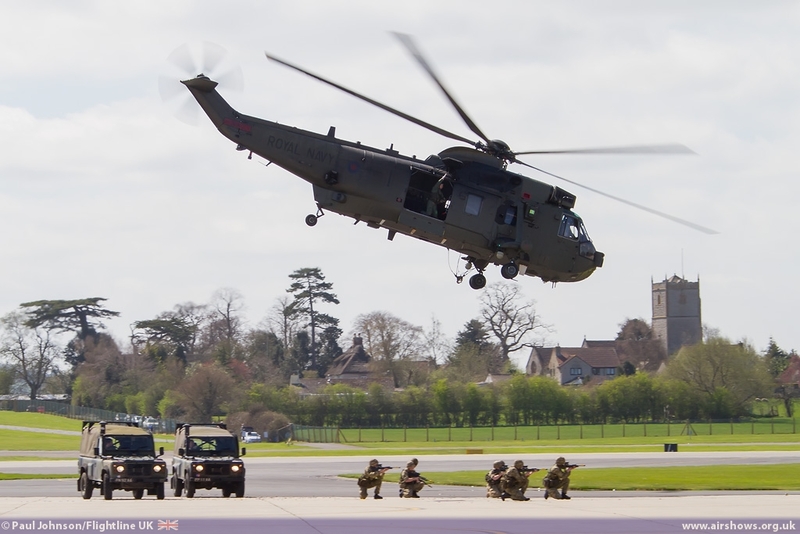 For the Commando Assault, the usual Royal Navy aircraft like the based BAE Systems Hawks, Westland Lynx and Sea Kings will be joined by Apache AH1 from the Army Air Corps and the Merlin HC3 from the Royal Air Force. 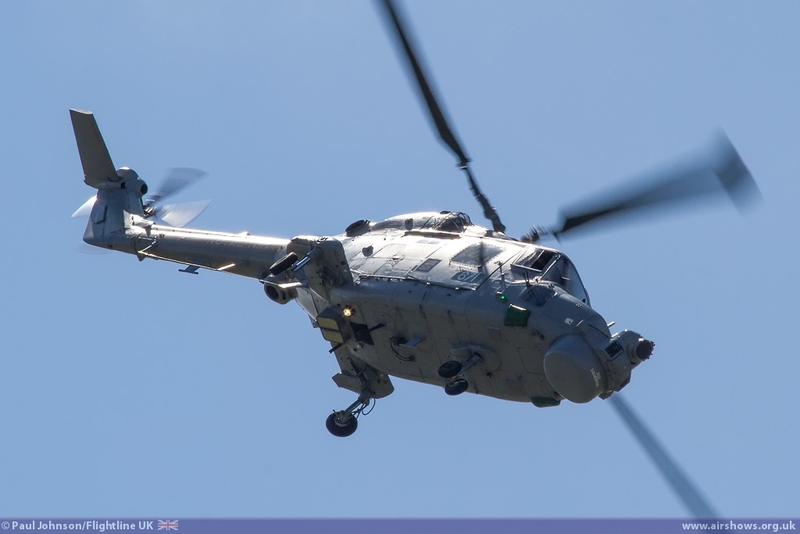 It is hoped that the Merlin will be crewed by one of the Royal Navy crews currently training with the Merlin Force at RAF Benson. 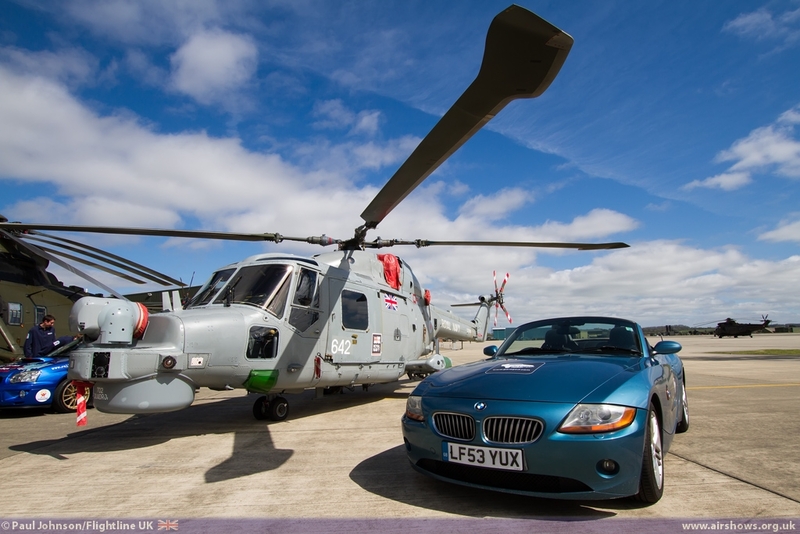 International participation is always a key part of the Air Day experience and 2013 will be a bumper year. 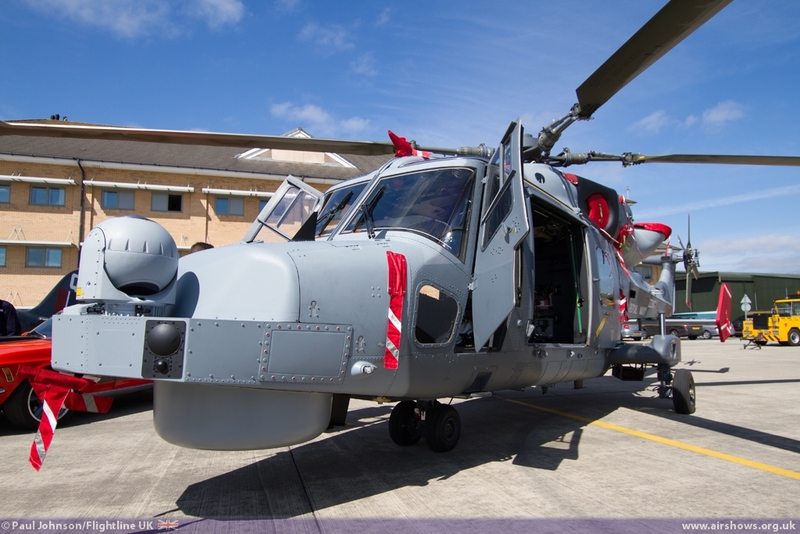 Perhaps the biggest news is that Yeovilton will be the only venue this year to host displays from the Czech Air Force with the JAS-39C Gripen and Mi-24 Hind helicopter in the flying display and a CN-295M transport in the static line up. 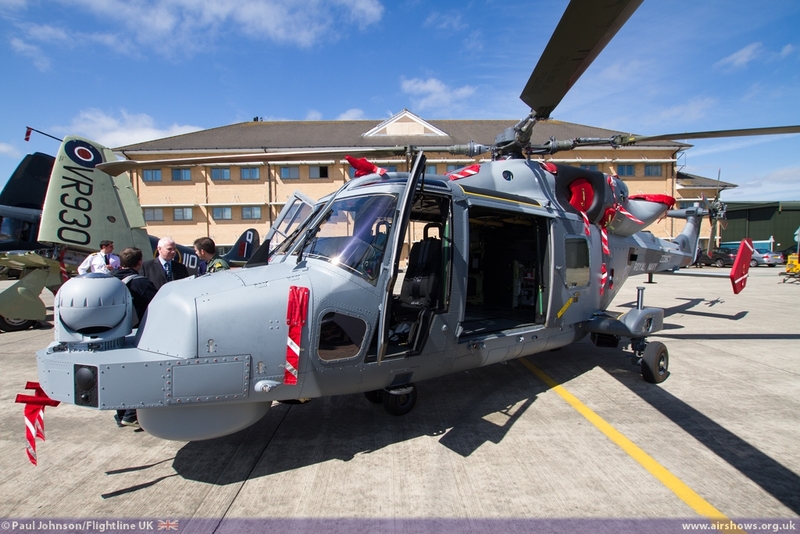 The Belgian Air Force too will contribute the F-16 Fighting Falcon solo display and Agusta A109BA to the flying display and have a C-130H Hercules on static display. More fast jets will come from the Royal Air Force with the Typhoon solo display and the Swiss Air Force F/A-18C Hornet creating thunder over Somerset. 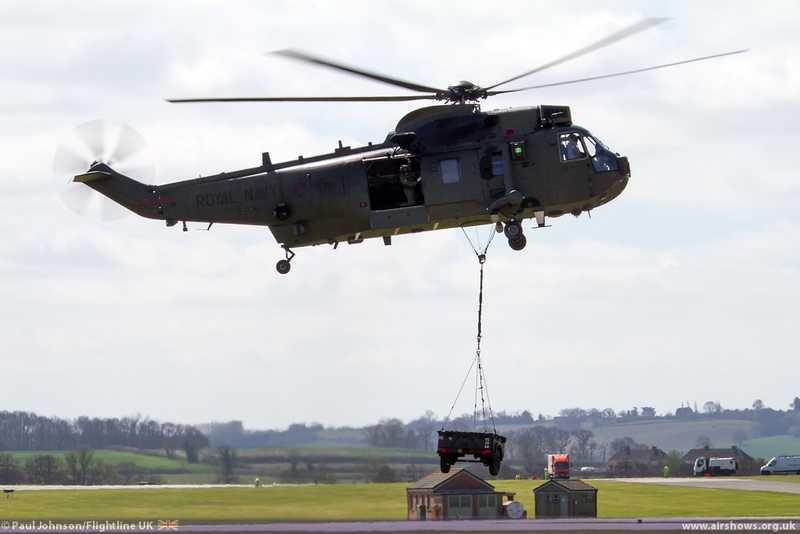 Further UK military displays will come from the RAF Tucano and Chinook and one of the first flying displays by the Army Air Corps Wildcat AH1 from the fielding squadron at Yeovilton. 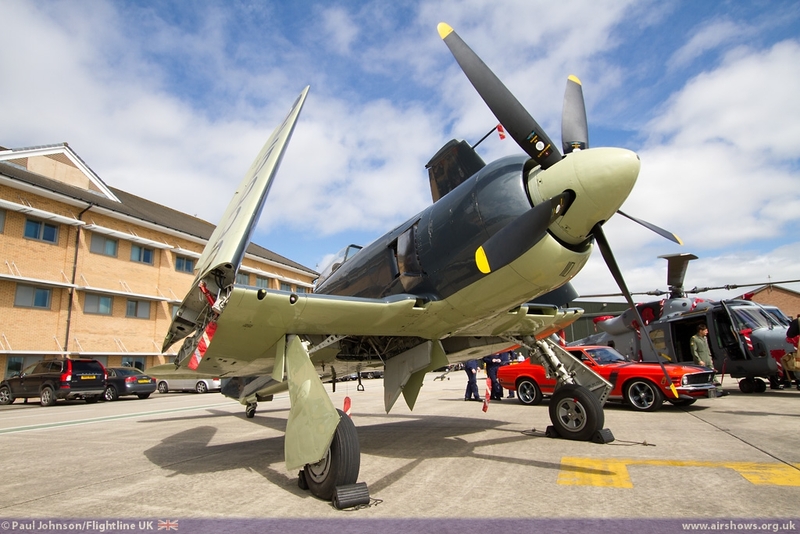 The Air Day not only marks the present, but will also feature an array of historic aircraft of all ages. 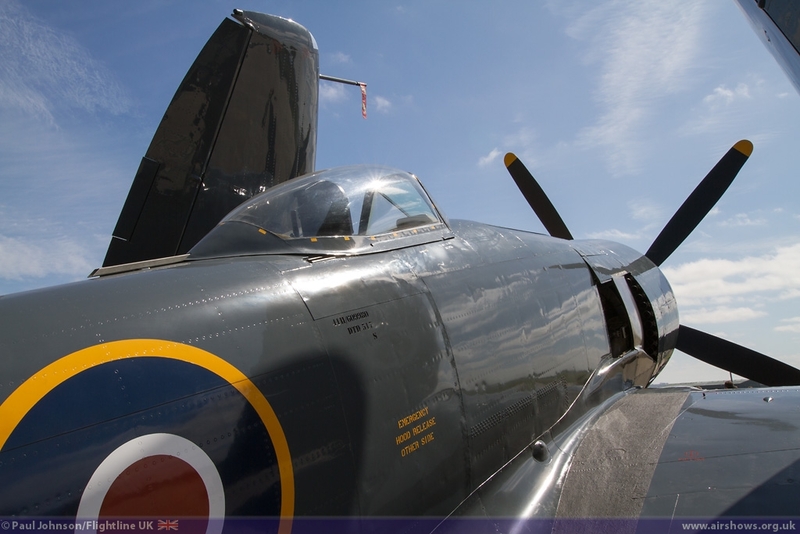 The Royal Navy Historic Flight will naturally take centre stage with the Swordfish and Sea Fury, and it is hoped they will fly the Swordfish in formation with the Wildcat. 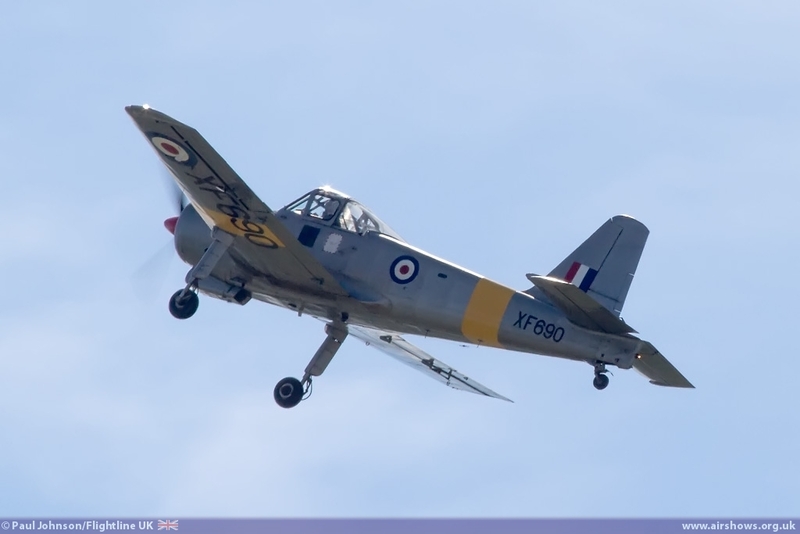 The Battle of Britain will be remembered not only with the Battle of Britain Memorial Flight but also a dogfight scenario by Richard Lake’s Spitfire XVI and Hispano HA-1112M1L Buchon (Me109J). 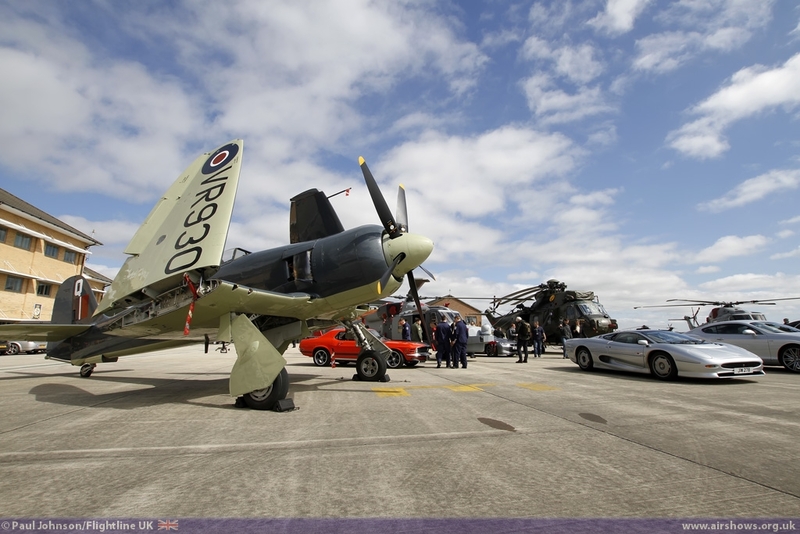 There will also be a display by the Hangar 11 Collection P-51D Mustang. 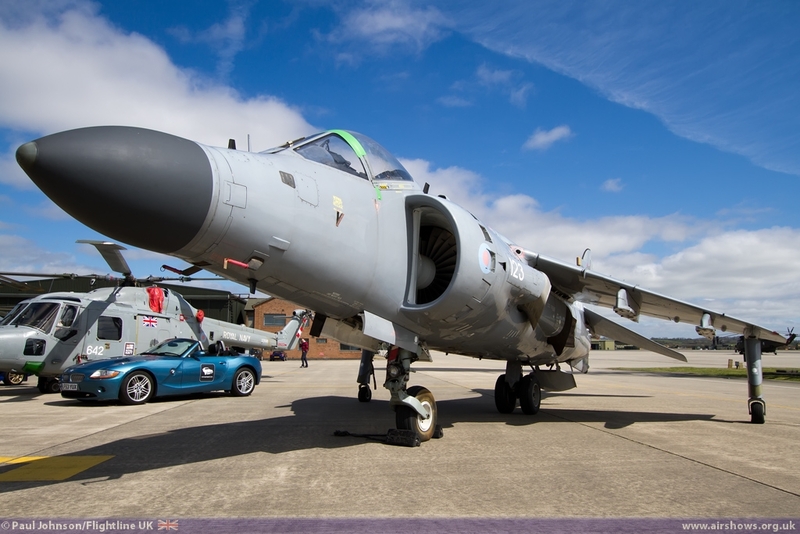 Classic Jets too will also be well represented by displays from the Avro Vulcan B2 XH558 and hopefully (yet to be fully confirmed by the organisers) the Red Star Rebels and the Sea Vixen. Also be worked on are displays from an Eastern Airways SAAB 340 and a return by the Antonov An-124 Condor that made such an awesome spectacle last year. Talks are also taking place with the French Navy over participation by the Dassault Rafale M and other types. As ever it is not just about aircraft. New for 2013 will be a collection of 30 classic and modern Super and Hyper cars including examples from Bugatti, Lamborghini, Ferrari, Bentley and others. 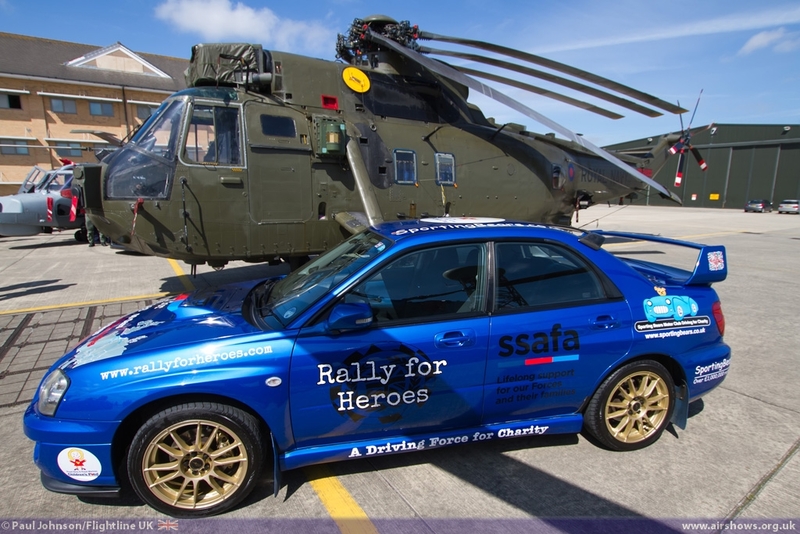 The cars will come from members of the Sporting Bears Motor Club which has raised over £1million for charity through various events and they certainly sport an eclectic range of cars and demonstrated at the Press Launch. 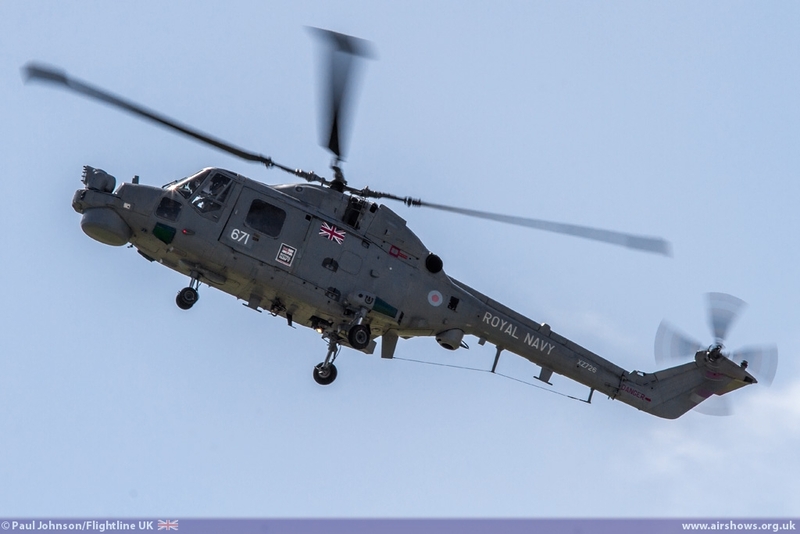 More information on the RNAS Yeovilton International Air Day from the Flightline UK preview and official website. 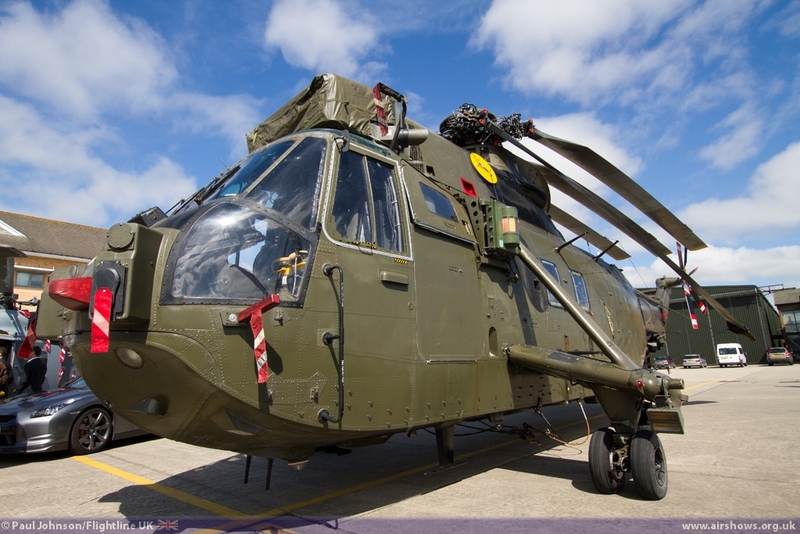 Advanced Tickets can be purchased from http://www.yeoviltonairday.co.uk priced £20 for adults, £18 for Seniors (60+) and £5 for Children (5-15).